We are a Rehabilitation Center utilizing chiropractic care with physiological therapeutics. 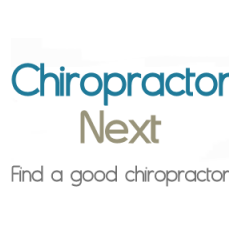 The goal is to get you out of pain quickly and restore your function. We assess each patient with a functional evaluation to determine strength, endurance, muscular endurance and flexibility. The emphasis is placed on improving proper motor coordinated patterns while focusing on abdominal "centering" with abdominal co-contraction to improve the inner and outer core. Once out of pain and a improvement of function has been attained we do offer a wellness program for maximizing your peak potential and improving the quality of your life. This program is beneficial whether your goal is to walk through the park or score touchdowns playing professional football. For our high level athletes our goal is to determine where the weakness lies and develop a protocol to achieve peak performance. My FlexBuilding tm program is a full range of motion stretching with full range of motion isokinetic resistance workout based upon Proprioceptive neuromuscular facilitation(PNF) principles. This is one of the techniques utilized for maximizing performance. Dr. Robert Pruni has been in private practice for over twenty years. He has combined the world of personal training and enhancement of strength, flexibility, endurance and muscular endurance which has gained tremendous momentum with the increase in cross training and events that require all aspects of physical fitness with everyday practice. His DVD FlexBuilding features four professional athletes working out to FlexBuilding but also includes one of his 82 year old patients Margaret. This is a testament to the fact the you are never to old to change the quality of your life. Palmer College of Chiropractic 1989 Doctor of Chiropractic Degree; Parker College of Chiropractic 1992 Certified Chiropractic Sports Physician; Board eligible: Diplomate American Chiropractic Rehabilitation Board. Back stage doctor for numerous Broadway shows,Rock concerts, Movies and professional sporting events. Cash, check, insurance, credit cards all major. 3035 Five Forks Trickum Rd.